Fast in preparation charlotte, pears in which can be replaced by apples, also very tasty. Mix margarine with sugar and eggs, add honey, vanilla sugar, starch, flour, baking powder, raisins. Batter should be the consistency of thick sour cream. Peel pears and remove cords, cut in pieces. Grease form wioth butter and sprinkle with semolina, pour batter and stick pieces of pears. 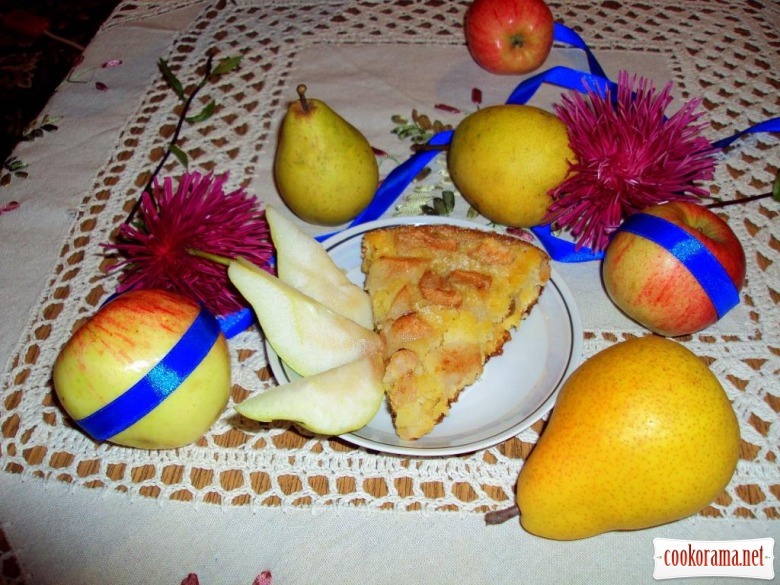 Top of recipe "Pear charlotte"